We looked at the top 18 Dry Dog Food and dug through the reviews from 242 of the most popular review sites including Dog Food Advisor, Petsumer Report, Dog Food Guru, Labrador Training HQ, BestReviews, Reviews.com and more. The result is a ranking of the best Dry Dog Food. Our experts reviewed the top 18 Dry Dog Food and also dug through the reviews from 242 of the most popular review sites including Dog Food Advisor, Petsumer Report, Dog Food Guru, Labrador Training HQ, BestReviews, Reviews.com and more. The result is a ranking of the best of the best Dry Dog Food. Wellness Core has lots of protein plus other super-healthy ingredients, such as flaxseed. This grain-free food is generally well-tolerated, and they offer special formulas for different dietary needs. DWYM Pets Experts plus Dog Food Advisor, Petsumer Report, Dog Food Guru, BestReviews and 4 more. Along with user reviews from Amazon, Petco and Petsmart.
" First, we find pea fiber, a mixture of both soluble and insoluble dietary fiber derived from pea hulls. 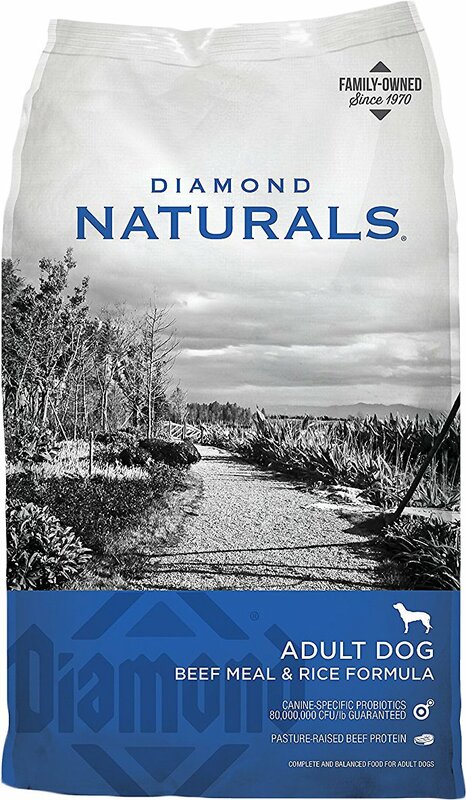 Aside from the usual benefits of fiber, this agricultural by-product provides no other nutritional value to a dog." "Minus: - This food does not appear to contain probiotics (friendly bacteria that benefits the intestinal system and in turn the immune system of the pet). - Supplements can be sourced from China; risk of poor quality control. - Many..."
Orijen Tundra boasts a grain-free formula with a variety of high-quality proteins as well as fruit and veggies. It has no preservatives or anything artificial. It's on the pricey side, but in terms of nutrition, it leaves little to be improved upon. DWYM Pets Experts plus Dog Food Advisor, Petsumer Report, Dog Food Guru, Labrador Training HQ and 5 more. Along with user reviews from Amazon.
" Orijen (USA) is a grain-free meat-based dry dog food using an abundance of named meats as its main sources of animal protein, thus earning the brand 5 stars. Enthusiastically recommended." "Minus: - This food does include probiotics (friendly bacteria that benefits the intestinal system and in turn the immune system of the pet), however they are not listed in the Guaranteed Analysis (no company guarantee bacteria is viable). 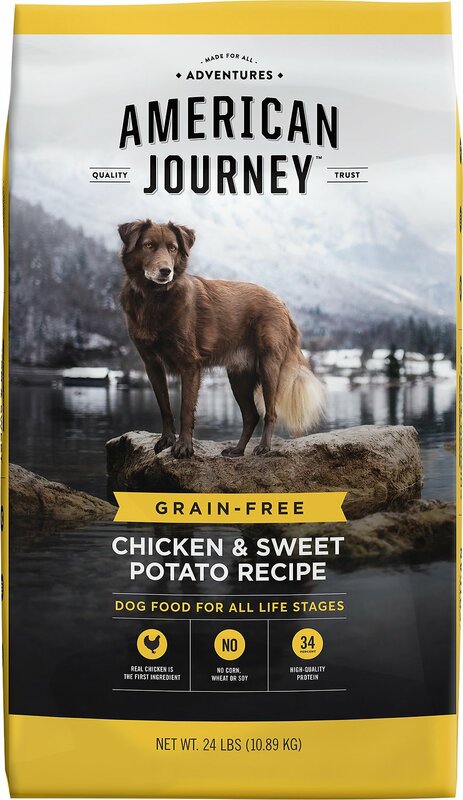 - Contains..."
Taste of the Wild earns praise for a high percentage of high-quality protein and highly digestible grain-free carbs, which makes it a great option for dogs with sensitive stomachs. The real roasted meat is sure to satisfy your dog's taste buds, too. DWYM Pets Experts plus Dog Food Advisor, Dog Food Guru, Petsumer Report, Labrador Training HQ and 4 more. Along with user reviews from Amazon and Petco.
" Taste of the Wild is a plant-based dry dog food using a moderate amount of named meat meals as its main sources of animal protein, thus earning the brand 4.5 stars. Highly recommended." "Minus: Supplements can be sourced from China; risk of poor quality control. - Many mineral listings do not read to be chelated or proteinated (for better mineral absorption). - Contains copper sulfate, supplement recently linked to liver disease. - Contains..."
Nature's Recipe is a great value for its price point and offers a variety of products for different dietary needs. DWYM Pets Experts plus Petsumer Report, Labrador Training HQ, Dog Food Advisor, Dog Food Guru and 4 more. Along with user reviews from Amazon, Walmart, Petco and Petsmart.
" Plus: - Most mineral listings read to be chelated or proteinated (for better mineral absorption)." "For some reason our dog found this food undigestable, began to vomit her dinner every morning. One could still see the chunks of the food." We identified the majority of the dry dog food available to purchase. 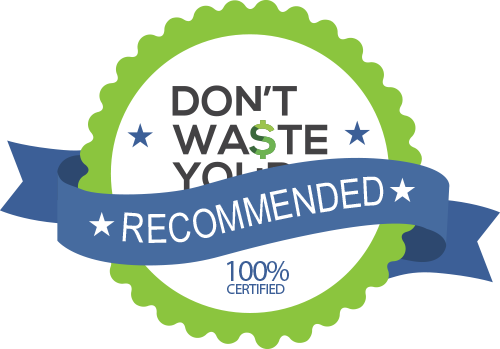 Reviews from our DWYM category experts and analysis of some of the most respected sources including: Dog Food Advisor, Petsumer Report, Dog Food Guru, Labrador Training HQ, BestReviews. We also incorporate user reviews from the leading retailers including Amazon, Petco, Petsmart, Walmart, Target, Google Express. Plus: - Contains flaxseed – health promoting ingredient. - This pet food contains several animal protein sources – chicken, turkey, salmon. A bit pricey, but most owners the overall health benefits are well worth it. Plus: - Most mineral listings read to be chelated or proteinated (for better mineral absorption). Salmon is the first ingredient and cheap grain free alternative. I switched my dog to Nature’s Choice and have seen a huge improvement in him. He’s much more active, he’s now at a healthy weight and not all skin and bones. His fur us more shiny and he doesn’t stink like he used to. Overall, this is a decent brand that you can feed your dog, and they’ll live a relatively healthy life. It's not the best dog food around, but it is a great dog food. Other Natures Recipe reviews agree. Too many controversial ingredients used. For some reason our dog found this food undigestable, began to vomit her dinner every morning. One could still see the chunks of the food. Consider Nature’s Recipe for your next affordable dog food brand option. Dogs are like members of our families, so of course, we want to keep them as healthy and happy as possible. The foundation for that is proper nutrition. A consistent, high-quality diet is the key to keeping your dog looking and feeling great. Feeding your dog the best dog food will keep them functioning at their best and can ward off chronic diseases, leading to a longer life. Dry dog food is very common and convenient, as it does not require refrigeration. There’s a ton of different types of dry dog food out there, so the choices can be overwhelming. You should look for dog food that is labeled as “complete and balanced,” which means the food contains the minimum amount of all the nutrients necessary for dogs. This standard is regulated by the Association of American Feed Control Officials. Keep in mind that buzzwords like “premium” and “immune supporting” are not regulated and should not carry much weight in your choice. Just as with human food, you want to make sure your dog is eating a diet with real, whole foods and one that is free from artificial preservatives and additives. Make sure your dog’s food contains a high-quality animal protein source, like lamb, chicken or turkey. Leading brands, such as Orijen Tundra, contain multiple protein sources, including chicken, turkey, flounder and egg. Many veterinarians recommend avoiding dog food that contains grains like corn, wheat and soy, as dogs do not need these starches. Although many healthy dog foods contain carbohydrates in the form of fruit and vegetables, brands like Taste of the Wild tout their grain-free recipe. Other healthy ingredients include probiotics, which benefit the intestinal and immune systems, and minerals. Minerals should be chelated or proteinated for maximum absorption. Some dogs need special diets, and diets should be adjusted for puppies and senior dogs. The right dog food for your pet will meet all of their needs and come at an affordable price. Dogs have been humans’ companions for more than 30,000 years. In the beginning, man’s best friend’s diet did not get the consideration it does today. Dogs generally ate the scraps that were left over from their humans. Around 1860, businessman James Spratt introduced the first commercially prepared dog food. Official nutritional requirements for dogs and cats were established in the mid-1980s. Dry dog food, or “kibble” as we know it today, became popular in the 1950s. As of 2017, commercial pet food was a $26 billion industry. These days, a lot of pet parents are turning to online retailers like Amazon and Chewy to get their dog food delivered straight to their door. Make sure to feed your dog the proper amount. Overfeeding your dog ups their risk of obesity and associated health problems. There are some formulas to determine how much you should be feeding your dog depending on their size and breed, and your veterinarian can also provide you with guidance. Puppies need small, frequent meals, while adult dogs can eat just one to two meals per day. Some dogs are grazers, meaning that they will eat small amounts throughout the day, but many more will eat all the food that is given to them at a time, which is why it’s important not to overfeed them. Price is an important factor in dog food, as it’s one of the major ongoing expenses associated with being a pet owner. A higher price tag does not necessarily translate to a superior product. A moderately priced brand such as Nature’s Recipe scores high marks for its quality. To keep your dog’s food fresh, make sure it is sealed. Some brands come with resealable tops, or you can put it in an airtight container, preferably made of glass or stainless steel. Make sure you keep your dog food in a cool, dry place. Moisture and heat can compromise the food’s safety and quality. Just like human food, dog food has an expiration date. Dry dog food is generally good for one year. Never give your dog food that smells or looks spoiled. It’s important that the food you choose is a good fit for your dog. If your dog rejects a food or it makes them sick, it may not be the optimal choice for them. Consult with your veterinarian to find the type of food that’s best for your pet. Make sure you wash the bowls your dog eats and drinks from regularly, ideally every day. Once a week, they should be sanitized with a bleach solution. Stainless steel bowls are the easiest to keep clean. For the Dry Dog Food category, we analyzed 242 of the most popular reviews including reviews from Dog Food Advisor, Petsumer Report, Dog Food Guru, Labrador Training HQ, BestReviews, Reviews.com and more. The result is a ranking of the best Dry Dog Food.